No US action has been taken against the Munich-based firm, which says it was not aware the equipment would be diverted and attempted to sue the Russian state energy firm for breach of contract. Washington, United States: The United States imposed sanctions Friday on Russian officials who supplied turbines to a power plant in annexed Crimea, as well as several "ministers" from the breakaway region in eastern Ukraine. The turbines were built by German engineering giant Siemens for delivery to Russia but were later sent to Crimea -- which Russia seized from Ukraine and annexed in 2014 -- by its Russian partner. Only a handful of Russian allies have recognized Moscow's claim on Crimea, which has not been recognized by the United Nations and which Ukraine, the United States and most of the world reject. Washington has an existing sanctions law to punish officials and public and private entities who assist in the Russian intervention in Crimea and eastern Ukraine, and regularly updates its blacklist. On Friday, it was the turn of senior Russian officials involved in the transfer of the turbines, and also several "ministers" from two pro-Russia breakaway regions of eastern Ukraine. The so-called Donetsk People's Republic (DPR) and Lugansk People's Republic (LPR) rule chunks of eastern Ukraine controlled by the pro-Moscow separatists since a revolt in early 2014. The West says the separatists are directly backed by Russian forces, who send personnel and weapons, funding and supplies and have allegedly conducted cross-border operations and shelling. Moscow denies this and has reacted with fury to increased sanctions. Russia's foreign ministry said the "absurd sanctions campaign has not succeeded and will not lead to any results." "If the American authorities prefer to break economic ties... with Russia, it is their right, as it is ours to reserve the right to a response." "The US government is committed to maintaining the sovereignty and territorial integrity of Ukraine and to targeting those who attempt to undermine the Minsk agreements," Treasury Secretary Steven Mnuchin said. Under the Minsk agreements, the first of which was signed in 2014, Russia and Ukraine are supposed to support a ceasefire, withdraw heavy weapons and foreign forces, and support electoral reform. 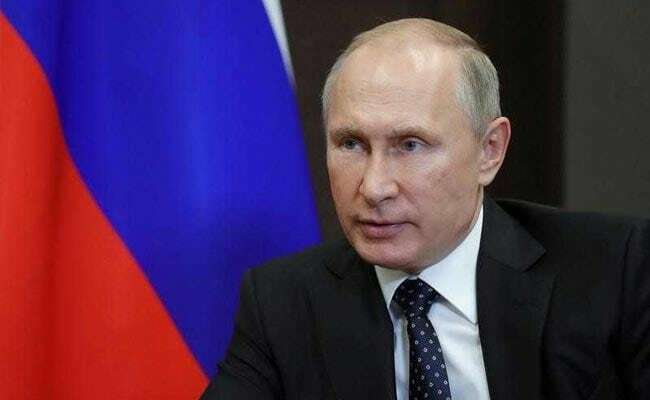 But fighting has continued to greater and lesser degrees, and US officials accuse Vladimir Putin's Kremlin of pulling the strings. "Those who provide goods, services, or material support to individuals and entities sanctioned by the United States for their activities in Ukraine are engaging in behavior that could expose them to US sanctions," Mnuchin warned. The Donetsk ministers of information, industry, finance, foreign affairs, state security and tax and Lugansk's economic development, labor and energy ministers were added to the US blacklist. Among the Russians added were Andrei Cherezov, deputy minister of energy, along with senior public and company officials involved in the transfer of the turbines to occupied territory. Several Russian companies were also designated for operating in Crimea, including Technopromexport -- the subsidiary of state conglomerate Rostec that was unsuccessfully sued by Siemens. A spokesman for Rostec told the Interfax news agency: "We're used to living under sanctions. It's just a shame that pressure, and not dialogue, has become the main instrument of foreign relations." The persons and entities listed cannot do business with Americans -- effectively excluding them from the US financial system -- and any assets they hold under US jurisdiction can be frozen. Separately, the United States also condemned Russia's ratification of an agreement to set up a joint military force with the Georgian region of South Ossetia, which is also under occupation. "We do not recognize the legitimacy of this so-called 'treaty,' which does not constitute a valid international agreement," State Department spokeswoman Heather Nauert said in a statement.